If you are searching for a job on Harris, then you have a fantastic range on offer in our current listings across the different professions, industries, trades, hospitality and services listed below, in both the private and public sectors. Our mission at HIJOBS is to show you a range of new jobs and we continually update this page to make sure you do not miss out on any of the opportunities Harris has to offer. Whether you are exploring a career change or hoping to progress your current path, we are here to help you find a role to suit your needs. Below you will find the current jobs on Harris. Our filters will help to focus in on the types of jobs you are looking for and our careers section will guide you through the application process to make it less daunting. Take a look at the HIJOBS application advice pages for some tips on how to get started. 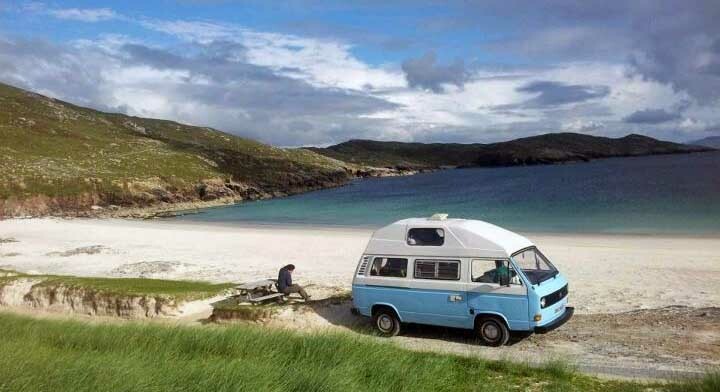 We hope you find your perfect job on the Isle of Harris. Read more about living and working on the Isle of Harris. You will often hear Harris referred to as ‘the Isle of Harris’; though strictly it is part of the same island as ‘the Isle of Lewis’, Lewis and Harris have two distinctly separate communities. It is also the birthplace of that famous Scottish cloth, Harris Tweed which is beloved by crofters and haute couture alike. So it is no surprise to hear that Harris has its own tartan designed by a group of sixth-year pupils at its Sir E. Scott secondary school in Tarbert. The school serves the whole of Harris and neighbouring Scalpay with a primary and secondary department to sixth year. Ferries sail from Tarbert to Uig on Skye or there is the option to travel via Stornoway on Lewis for a ferry to Ullapool and or catch a flight from its airport which is linked to Glasgow and Inverness. Neighbouring Lewis is home to Comhairle nan Eilean Siar, the Western Isles Council, and NHS Western Isles and the main hospital for the Outer Hebrides. This is the Gaelic heartland and the language and culture and especially its music feature strongly across island life. For a small island the variety of landscapes on Harris is mind-boggling. In places the craggy boulder-strewn landscapes looks almost lunar, then you reach the west coast of the island and the miles of white sand beach and turquoise seas look like they have been stolen from the Caribbean. Needless to say Harris attracts a good number of tourists and the hospitality sector, crofting, fishing and public sector account for the major part of employment.